The Clarinet Section, a sextet of leading London based professional freelance players, was formed in 1998 with the intention of exploring the extant original repertoire whilst also inspiring new and challenging music. 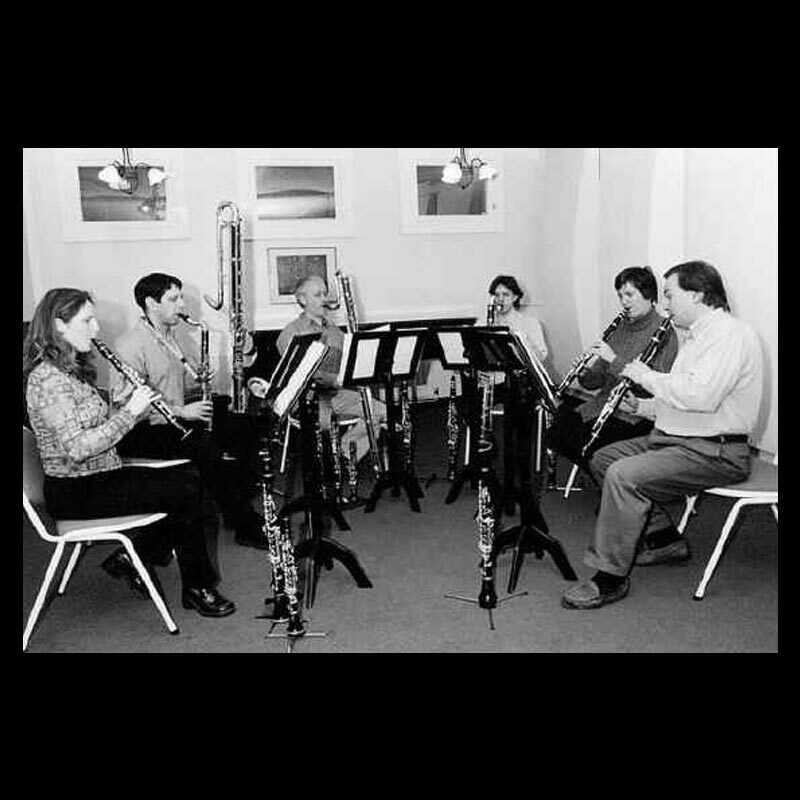 Using the standard instrumentation of Eb, two Bb, alto, bass and contra-alto or contrabass clarinets as its basis, the members of the group offer a very extensive range of doubling over the entire family which enables the use of some unusual instrumental combinations. The low clarinets used by the players in this group have all been adapted with extended downward ranges and specially made wooden bells (in place of the manufacturers’ original metal versions) to enhance the richness and warmth of the sound. Whilst ensuring regular performances of the few outstanding original works for the medium such as Mozart’s Adagio K411, Florent Schmitt’s Sextour and Michael Henry’s Chorale Variations the large number of transcriptions, made by members of the group, allow unique recital programmes.